On the Internet, people buy, sell, post, alter, share, borrow, copy, and steal copyrighted material. While there’s usually nothing wrong with linking content you like on your social media accounts or sending photos to your friends and family, every photo taken, every word written, and every video ever made has an owner who controls the copyrights to that content. What happens when someone uses copy-written content without permission? What happens if someone posts copyrighted content on a website you own? What can you do if someone takes your photos or videos or books and sells them? These kinds of questions are all addressed by the Digital Millennium Copyright Act, or DMCA. Passed in 1998, the law changed the country’s outdated copyright laws in light of how the Internet had changed how people made, distributed, and consumed information, art, entertainment, and online content of all kinds. Anyone who buys, sells, uses, or creates something that is or can be on the Internet needs to know what the DMCA is, how it works, and how it can affect them. A copyright lawsuit is a surprisingly easy way to dramatically lose income. Here is everything you need to know. As its name implies, the Digital Millennium Copyright Act addresses a range of issues arising from the digitization of copyrighted works, such as digitally rendered films, music, or photographs. The law covers several important issues, but the areas that people often have problems with surround the creation, sale, or sharing of copyrighted content. Because copyright laws cover so much content that is posted online, this law can affect almost anyone. So, to understand what the DMCA covers, you must first know something about copyright law. A copyright is a kind of intellectual property. Intellectual property, unlike tangible property, is something that comes into existence as the result of human intelligence. A new mechanical invention is a type of intellectual property, as is the original name of a business or the family recipe for your mother’s famous banana bread. People who own intellectual property rights typically have the exclusive right to distribute, sell, display, or use the work they’ve created. Copyright is a type of intellectual property that applies to any original creative work, such as a poem, song, essay, painting, photograph, or film. If non-copyright owners want to use copyrighted works, they must get the copyright holder’s permission. Just as no one can take or use your car or personal property without your permission, no one can take or use any of your copyrighted property without your permission either. Original. You cannot copy someone else’s work and copyright it. Your work must be original and it must be your creation. You can create and copyright works that are similar to others or which use similar themes, motives, elements, or styles. But you cannot copy work someone has already made. Affixed or Attached in a Tangible Medium. You cannot copyright an idea. You must express your idea in a tangible medium or use the idea to make a product or physical creation. If you have an idea for a political thriller set in ancient Rome, for example, you do not have a copyright. But, if you write a script, make a movie, draw storyboards, or make character drawings or sketches, you own copyrights to all those original works. If your work meets the two basic elements, you own copyrights to that work as soon as you create it. There is no need to register, publish, or take any other actions to become the copyright owner. You, as the creator, own the copyrights automatically and can protect your rights by, for example, suing someone who uses your work without permission. You can also choose to register your work with the United States Copyright Office. Should you choose this option, you’ll obtain benefits that non-registered copyright holders do not have, such as being able to recover statutory damages and attorney’s fees if you sue a violator and win. Registering a work also has the benefit of establishing a precise date you can point to when the work was created. Otherwise, you may have to use other means to prove ownership or creation should you have to prove the work is yours. Whether registered or not, the copyrights you own for your works also extend to the Internet. 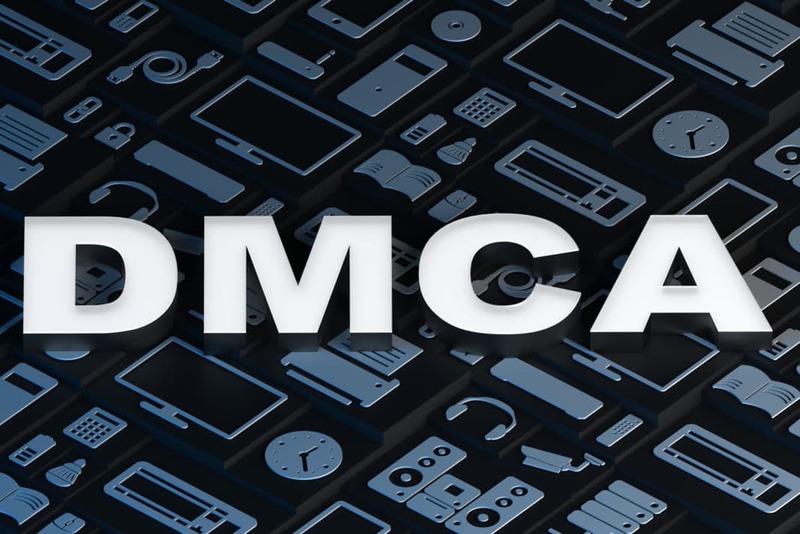 The DMCA clarifies what rights copyright owners have online, what they can do to protect their property, and what companies or people who have websites or offer Internet services have to do to protect themselves from users who violate the copyrights of others. Who Needs to Worry About the DMCA? For the average Internet user, the DMCA is not something that you’ll typically have to worry about on a daily basis. In most situations, the only brush you’ll have with the DMCA is if you find that a video you wanted to watch has been removed, or a product you wanted to buy is no longer available. Further, if you are someone who regularly uses someone else’s copyrighted material for your own purposes without permission of the copyright owner, or if you attempt to profit from other people’s copyrighted work, the DMCA is also something that can directly affect you. If you own a website, blog, or service that allows others to access the Internet or otherwise post content to the Internet, the DMCA directly affects you. Under the terms of the DMCA, online service providers (OSPs) are allowed a “safe harbor” that gives them protections when someone who uses their services posts copyrighted material without permission or otherwise infringes on someone else’s copyrights. Internet Service Providers. Companies or organizations that provide Internet access to users, known as Internet service providers or ISPs, are the first type of OSP. These organizations include telecommunications companies, such as Comcast and Time Warner Cable; cellular phone companies, such as Sprint and AT&T Wireless; and satellite providers, such as HughesNet. Each of these kinds of companies can provide Internet services to hundreds of thousands or even millions of people every day. At the other end of the ISP spectrum there are very small ISPs, such as the city of Faith, South Dakota, which provides Internet services to just over 200 people. Caching Service. A caching service is an OSP that saves data or content on its own computers, instead of merely allowing users to use its services to access content located on other computers connected to the Internet. Search Engines. Referred to as “Internet Location Tools” under the DMCA, search engines allow Internet users the ability to find what they’re looking for. Well-known search engines, such as Google and Bing, qualify as Internet Location Tools under the DMCA. Web Hosts. This is the category that most individuals or small businesses fall into when it comes to DMCA issues. A web host is any company or individual that allows a user to create or maintain a website, or allows users to post content or information to that website. Under the DMCA, companies like InMotion and HostGator qualify as web hosts, but so do companies like Etsy, Reddit, YouTube, and any other website that allows users to post original, and potentially copyright-infringing, content. Under the DMCA, OSPs can be held liable for the actions of their users when those users infringe on the rights of a copyright holder. But, to protect themselves from liability, OSPs can take shelter in the law’s “safe harbor” provisions. If OSPs meet the safe harbor requirements, they can’t be held liable for the actions of their users who violate copyright laws. The steps an OSP must take to be covered under the safe harbor provisions differ somewhat depending on what type of OSP they are. But, in general, they require OSPs to provide copyright owners of infringed material a way to notify the ISP of any infringement. As long as the OSPs provide owners this opportunity in the required way, the owners cannot sue the OSP for any problems that arise because of an infringing user’s actions. Register an agent with the United States Copyright Office. To register an agent with the U.S. Copyright Office, you’ll have to go through several steps. These include signing up for an account on the office’s website, filling in information about yourself and your website, identifying your Internet Service Provider, and naming your agent. You’ll also have to pay a $6 fee for each agent you register, plus renew the designation every three years. Once registered, the agent is responsible for dealing with any DMCA infringement notices that copyright owners send to the OSP. Include the agent’s contact information on your website. Users and copyright owners will need to know how to contact your DMCA agent. You must include your DMCA agent’s contact information, such as an email or physical mailing address, on your website. You must also include the same contact information when you register the agent with the U.S. Copyright Office. Adopt and explain your infringement policies to users. As an OSP, you must create and implement a policy for how you deal with infringing material posted by users, including a policy addressing how you deal with users who repeatedly post such content. There isn’t much guidance about what these policies must look like, but you must have them and notify users about them. Act to remove infringing content after receiving a proper takedown notice. If your DMCA agent receives a takedown notice that contains all the necessary details, the agent must act promptly to remove the identified infringing material. Notify user of removed content. Once you’ve received a takedown notice, you must also notify the user who posted the content of the notice and the content’s removal. Act to restore content after receiving a counter-notice. If your DMCA agent receives a counter notice (see below), the agent must return or restore the content. The restoration must happen no sooner than 10 business days, and no later than 14 days, after forwarding the counter-notice to the party that filed the original takedown notice. Accommodate standard technical measures of copyright identification. OSPs must allow copyright owners to identify their work with any “standard technical measure.” The definition of what qualifies as a standard technical measure is quite broad, but it effectively requires that OSPs cannot unduly interfere with copyright owners who want to identify their works in a commonly used way. Not benefit financially from content the OSP can control. This requirement is a little harder to apply, but it essentially bars OSPs that knowingly receive compensation for infringing content from safe harbor protections. In other words, if you know you’re getting a financial benefit from specific infringing content, you can be sued for it, even if you take all the other required safe harbor steps. Let’s say you’re a graphic designer. You have a 9 to 5 day job in a design studio, but you also design and sell your work on Etsy. Your Etsy store doesn’t bring in a full-time salary, but it’s a nice side income that allows you a creative outlet at the same time. Then, one day, you’re browsing Etsy and see that a new store has opened. Like your store, it’s selling custom vinyl wall art. 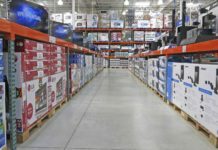 It has also copied everything you’ve posted in your store, including your titles, the listing descriptions, and has even used the photos you took of each of your individually designed items. What can you do? The DMCA gives you clear choices. You can file a DMCA takedown notice with the OSP on which the infringing content appears. So, if you find someone on Etsy selling blatant copies of your originally created wall art, you can file a DMCA takedown with Etsy’s DMCA agent. To do this successfully, you, as the takedown-notice filer, must include specific information. Contact information. Your takedown notice must include enough information for the OSP’s DMCA agent (Etsy, in this example) to be able to follow up with you. This usually requires your name, mailing address, email address, and anything else necessary to contact you. Identification of the infringed work. You must identify what work you believe has been infringed upon, and provide the OSP the location of the work, or provide enough information that the OSP can locate it on the Internet. If there are multiple infringed items, you can include a list; you do not need to send individual notices for each work. Your good faith belief in the infringement. Your notice must include a statement that you have a good-faith belief that the material you’ve identified is infringing on your rights as the owner of a copyright. Your affirmation. You must also include a statement that affirms under penalty of perjury that the claims you have made are accurate and that you are the owner, or the agent representing the owner, of an exclusive right that is being infringed upon. Your signature. You must sign your takedown notice, or have it signed by an agent authorized to represent you. If your takedown notice contains the correct information, the OSP will take down the infringing work. If it doesn’t, you can sue the OSP for infringement. If it does, you can only sue the user who posted the content. If you don’t know who that party is, you can subpoena the OSP for identifying information on the user who posted the content. 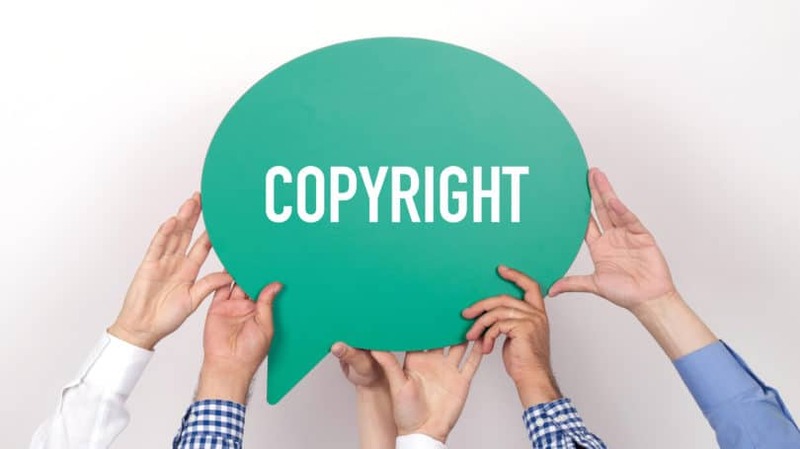 However, if you’ve wrongfully claimed that you are the copyright owner, or have mistakenly identified copyrighted material as your own, you can be held liable by the user whose content you had wrongfully removed. On the other hand, the OSP that removed the content after receiving your notice is not liable for any wrongful removal, as long as it complied with the safe harbor requirements. Some people find themselves on the receiving end of a DMCA takedown. If you post copyrighted material to the Internet, you shouldn’t be surprised if the content is removed. In some situations, and especially if you sold or profited from the content, you might find yourself named in a copyright infringement lawsuit. But what if you’re faced with the wrongful takedown of your content? For example, if you’re running your Etsy store and know that your designs are original and wholly owned by you, what can you do if you receive a takedown notice? What if someone accuses you of infringing on their copyrights but you know you haven’t done so? If you find yourself in this situation, you can file a DMCA counter-notice. As with the safe harbor and takedown provisions, there are specific steps you must take if you want to restore your content. Namely, you’ll have to file a DMCA counter-notice with the OSP that removed your content. You must submit your counter notice to the OSP’s DMCA agent, and it must include specific information. Identification of the removed work. You must tell the OSP what work was removed and where it was located or posted prior to removal. Statement of wrongful removal. You must state that you believe the content was removed because of a mistake or mistaken identification. You must affirm this under the penalty of perjury. Signature. You must sign, either electronically or physically, the counter notice. The OSP will typically restore your content within 10 to 14 business days of receiving your counter-notice. The procedures outlined in the DMCA for the removal and reinstatement of copyrighted works is primarily designed to protect OSPs from inadvertent infringement, or from infringement lawsuits arising from users who post content on the OSP’s sites. It allows websites and web service companies the ability to protect themselves from constant threats of lawsuits, injunctive shutdowns, or other legal threats that might arise, and which could threaten the OSP’s ability to conduct business. At the same time, the DMCA outlines specific steps that Internet users and copyright owners can take if they believe their copyrights have been infringed upon. However, the DMCA is not the final option for anyone with a copyright infringement problem. If you want to go beyond the DMCA to try to protect your copyrights or defend yourself against a copyright infringement claim, you’ll have to talk to a lawyer. The civil litigation process can be complicated, time-consuming, and expensive, but the only way to know for certain if you’ve done everything you can to protect yourself or your property is to find an experienced attorney in your area. Have you ever been involved in an Internet copyright fight? What happened?